New single "Calling All Recruits" coming May 15! 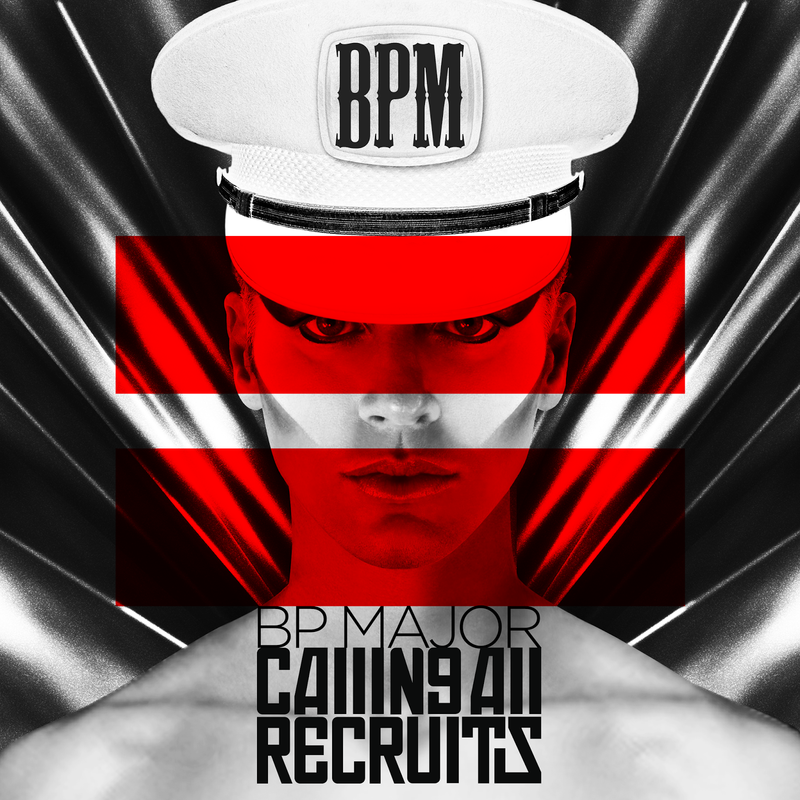 On May 15, the Award winning BP Major releases the much anticipated hit single "Calling All Recruits". Australian born and Los Angeles based, BP Major is the reigning Best Dance Artist winner at the 2014 Artists In Music Awards and the name BP Major is a name you should know! BP is no stranger to the TV and international music scene, packing out US and Australian venues with his electric, unique and explosive performances. BP Major’s love of entertainment came from the early age of 9 when he starred on Australian TV commercials for international brands such as Cottees, McDonalds and KFC with the gorgeous Elle MacPherson. Acting came naturally to BP, which saw him pick up roles on well-known Australian soaps Home & Away and General Practice. Combining his love for dance and acting, in 1998 BP performed at the official opening of 20th Century Fox Studios in Sydney alongside Hugh Jackman, Kylie Minogue, Tina Arena and Marcia Hines. In 2000 BP danced with Kylie Minogue in her performance at the Sydney Olympic Games, with critics stating it’s one of the top 5 games performances! In 2002, BP realized it was music he really loved, and left the sunny beaches in Sydney and headed for Sweden. Not long after he arrived, he made it into the Top 10 in Swedish Popstars and spent the next 5 years in Sweden recording music. His latest single, Indigo, is in heavy rotation on US dance radio stations as well as France, Germany, Australia, Canada and Lebanon. In 2006 BP decided to leave the cool European winters for Sunny California! With BP’s talent, Aussie charm and good looks he hit the ground running and hasn’t stopped since! BP regularly packs out venues in LA with his music gigs and has been a guest judge on the national US dance competition circuit. He has also starred in the movie Frost Nixon, played the lead in A Big Gay North Hollywood wedding (one of the longest running plays in LA) and the lead in a David Bowie Rock Opera in Hollywood called Hunky Dory. Critics often compare BP to a young ‘Bowie’. Whether it’s dancing, singing or just being fabulous… BP has worked with some of the biggest names in the business including, J-LO, Cameron Diaz, Estelle, Sam Sparro, Dev, Karmin, Lisa Vanderpump, Kylie Minogue, Dannii Minogue, Tina Arena, Hugh Jackman, Jimmy Barnes, Director Ron Howard and more. Most recently BP had a guest spot on Lisa Vanderpump’s spin off show on Bravo – Vanderpump Rules.